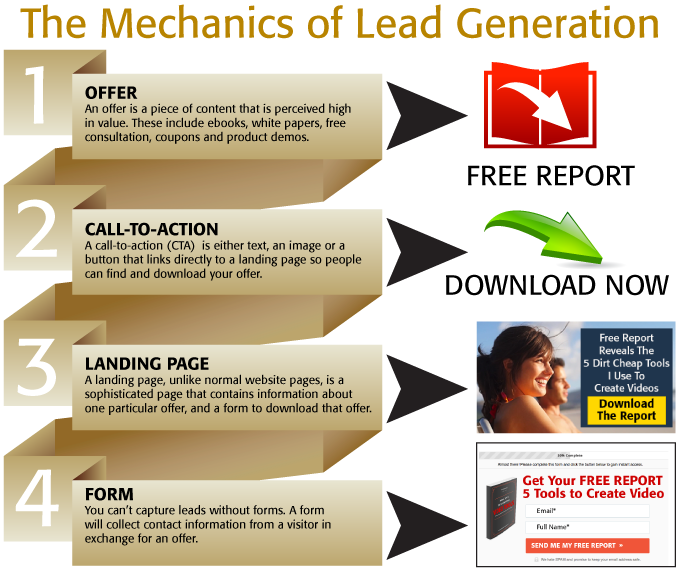 Wondering why your great website is not generating leads? 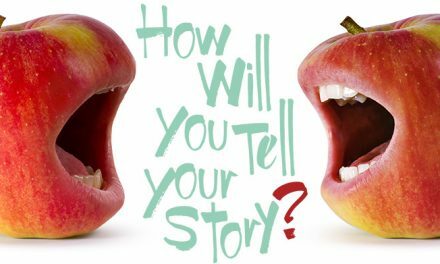 You say it’s an engaging site, but are you engaging your reader? The first place to look is your call to action. If your site has calls to action are they working for you? If your website has none then the chances of generating a lead is ZERO. The call to action (CTA) serves many purposes depending on your marketing strategy. 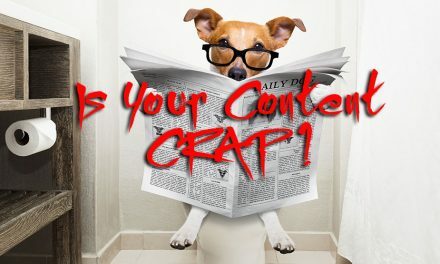 Its greatest strength is connecting readers with an opportunity that will convert them into leads. As such, the CTA is the first step in the lead generation process. Every page on your website and every blog post should include a Call To Action with an offer to pull your visitors further through the funnel. In all cases, the function of a CTA is to nudge prospects, customers to focus their attention on the next thing you want them to do. An action can be as simple as downloading a free chart. Because a call to action is trackable, you can determine its effectiveness in your marketing. These are the seven steps for crafting each call to action. The call to action encourages readers to engage with you further. Even a free download without capturing contact information has value because the reader will own your branded material. If your information is interesting and useful, it will keep you top of mind in their research. This download type of Offer requires a minimal investment for readers in stage-1 of the buying cycle. Understanding where your audience is in the buying cycle determines the value of your offer. 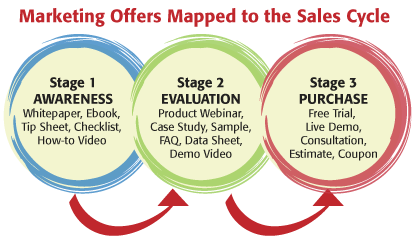 In practice, you need an offer for each stage of the buying cycle. See our Offer Selection Chart to understand where your offer fits in with lead quality and conversion potential. A reader in the stage-1 information-gathering mode is not ready to purchase so the offer will be low lead quality but easy to consume with little effort. Using an information capture form as part of your lead generation process requires more social investment on the part of the reader, so your Offer needs to have a value that will make it worth their effort. Where your offer appears will also determine the content. On most social media platforms people are focused on socializing and aren’t prepared to buy. Your offer should be useful and informative with the goal of building brand awareness or thought leadership. Venues like Blogs, Tumblr, and Pinterest are suitable for encouraging sales. A sense of urgency; marketing experiments have proven that increasing the urgency of the call to action improves response. Be imaginative and come up with some compelling incentives that will encourage readers to take the next step. Like all content, design format matters! Consider these points. Be relevant. Your offer needs make sense based on the social media platform where it appears. Use color and typography to make your CTA stand out visually. Incentivize your offer. Make readers feel that opportunities are time-sensitive or limited. For example, “There are only 100 tickets left”. Limit selection choices. 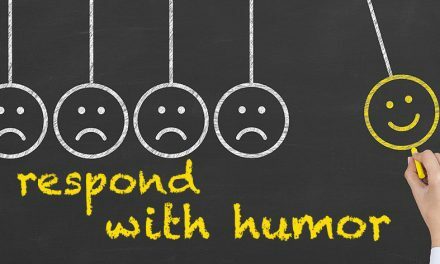 Too many choices will suppress response because readers need time to consider your offer. Keep your CTA above the fold. Other calls to action can appear below the fold. Put call to action options in order of importance. More than one call to action is acceptable, just make sure it is clear which is more important. The more important option should show first and bigger, or in a more prominent positioning. Include social sharing buttons to encourage readers to share your offer. Research has found that marketers achieved better results by using more landing pages. Of course, more landing pages provide an opportunity for more targeted offers. Continuity is important across multiple pages. If the reader thinks that you sent them to the wrong place they’ll leave. Although every element of a CTA can be tested, just modifying one element at a time will isolate what works better. Text. This includes the text on buttons and the information about the call to action. Color. Always an influencing factor in readability and even response, alternating the color of text, button, the background should be tested. Graphics. Test the use of various imagery photographs and graphics. Size. Assess the size of the CTA relative to the rest of the content. Placement. Consider where the CTA appears on the page. What are the metrics that will determine results? Impressions are the number of people who probably saw your CTA based on visits to that page. Click-throughs are the number of people who take next step and request your offer. With those numbers, you can determine result percentages for each step of the CTA. If your calls to action are not working for you or even worse — you don’t have a CTA, call us at 954-257-7066 and discover how we can help you generate leads in all your internet marketing. NextWhat is your social marketing strategy?